[S265] 1920 United States Federal Census, Database online. Year: 1920; Census Place: Willacoochee, Atkinson, Georgia; Roll: T625_233; Page: 1A; Enumeration District: 12; Image: 281. [S262] 1910 United States Federal Census, Database online. 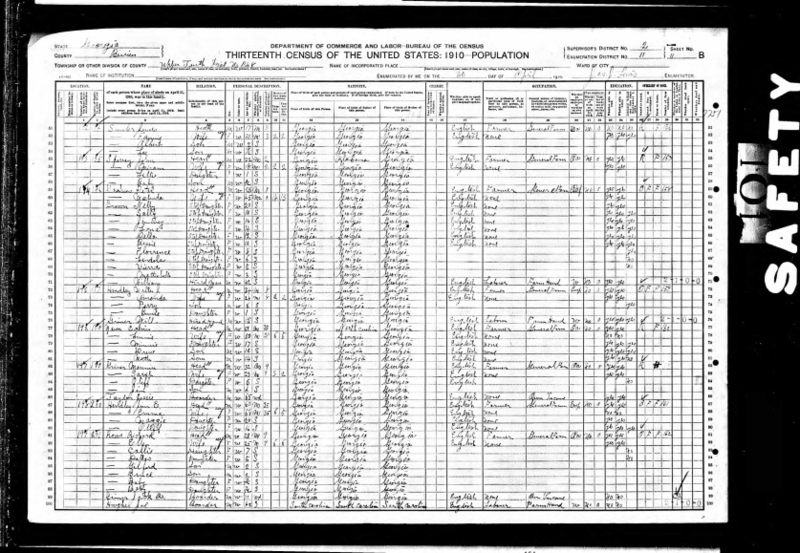 Year: 1910; Census Place: Upper Tenth, Berrien, Georgia; Roll: T624_172; Page: 11B; Enumeration District: 0011; Image: ; FHL microfilm: 1374185.